Richard Kyte is the Endowed Professor of the D. B. Reinhart Institute for Ethics in Leadership at Viterbo University in La Crosse, Wisconsin where he teaches a variety of ethics courses dealing with issues in business, leadership, and the environment. He received his Ph.D. in philosophy from The Johns Hopkins University in 1994. 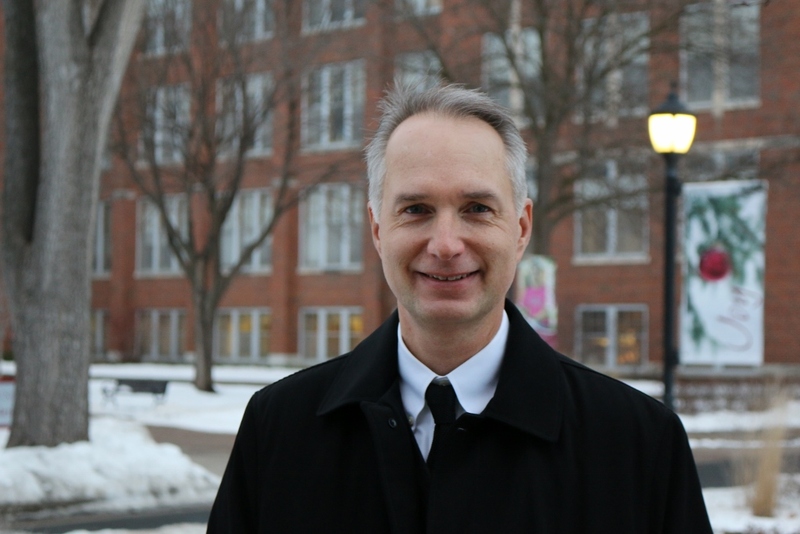 Richard writes a regular column for the La Crosse Tribune titled “The Ethical Life.” He is the author of An Ethical Life: A Practical Guide to Ethical Reasoning (Anselm Academic, 2012), Ideas Unite, Issues Divide: Essays on the Ethical Life (Piscator Press, 2013). His latest book, Ethical Business: Cultivating the Good in Organizational Culture, is forthcoming from Anselm Academic Press in 2016. Ethical decision making is one of the chief responsibilities of leaders in any profession. This program will describe the Four Way Method for Ethical Decision Making, a simple and intuitive model for working through and communicating difficult and controversial decisions with coworkers, clients, and the public. Over the past 30 years, American society has seen a steady decline in civic engagement—voter participation, membership in churches and service organizations, and volunteering. This decline is especially evident in the erosion of "middle institutions"—those places between home and work, where friends, neighbors, and strangers come together in conversation and in service, and which are necessary to sustain a healthy democracy. This presentation will look at the symptoms and causes of this decline in civic engagement and then propose ways to reverse that decline and restore health to American communities. The key to effective leadership is simple: meaningful service to others. But what is simple to describe may be difficult to put consistently into practice. This presentation examines the history of Servant Leadership, describes the principles that inform it, and provides practical advice for becoming more of a servant leader in one's own life. Filled with inspiring examples of individuals and organizations who are changing the way America thinks about leadership.